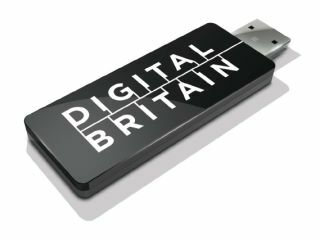 Lord Carter finally unveiled his Digital Britain report today – the document that outlines the digital future of the UK. Following on from the interim report which landed six months ago, Lord Carter's latest document is as wide ranging as it is detailed, focusing on myriad issues relating to the state of Britain's internet infrastructure, issues of online piracy and funding woes within the broadcasting sector. As was outlined in the interim report, Lord Carter inists that the UK will not continue to play catch-up with the rest of the world, and has announced that universal broadband will be a reality in 2012. Essentially, this means that every home in the UK will have access to 2Mbps broadband speeds. This is something of an arduous task, considering around a million homes at the moment have no access to these types of speeds. It has been announced that this online re-boot will be funded partly with £200m taken from licence fee funds previously put away for the digital switchover. The report goes into more detail about the funding of this, stating that a 'broadband levy' will be put into place: "The Government believes the fairest and most efficient means of ensuring that the overwhelming majority of the country has access to next generation broadband is to share some of that saving and create an independent Next Generation Fund, based on a supplement of 50 pence per month on all fixed copper lines," the report says. Continuing with the internet theme, Lord Carter has also announced preventative measure to stop online piracy. In the report states: "The Government believes piracy of intellectual property for profit is theft and will be pursued as such through the criminal law [courts]." This has come in the form of legislation which puts the control of piracy into the hands of the ISPs. This allows service providers to send letters to persistent illegal file-sharers and, if necessary, quash the speeds of persistent offenders. This is going to be overseen by Ofcom and not a digital rights team as first mentioned in the interim report. The full report states: "The Government intends to provide initially for Ofcom to have a duty to secure a significant reduction in unlawful file sharing by imposing two specific obligations: notification of unlawful activity and, for repeat-infringers, a court-based process of identity release and civil action. "The Government is also providing for intermediate technical measures by ISPs, such as bandwidth reduction or protocol blocking, if the two main obligations have been reasonably tried but, against expectations, shown not to have worked within a reasonable but also reasonably brisk period." It is also noted that the report wants illegal file-sharing to be cut by at least 70 per cent. When it comes to the broadcast industry, Lord Carter has put forward a partnership between BBC Worldwide and Channel 4, to help plug the money gap left by the lack of advertising and secure the future of the channel. Unfortunately, he hasn't gone as far as to announce when this will actually take place, instead the report states: "A strategic BBC Worldwide/C4 relationship would require further structural separation of BBC Worldwide, on which further work is needed, and would possibly require changing the terms on which C4 acquired content rights" and that this partnership is "still under negotiation". Lord Carter is also asking that Channel 4 becomes a "multi-media public service counterpoint to the BBC". ITV is also name-checked in the report, in relation to the broadcaster's regional news. Again, this is somewhat fluffy, other than the report "welcomes the Partnership memorandum with the BBC which offers some reduction in ITV's costs over the next few years."